Want to persuade more people to subscribe to your email list? 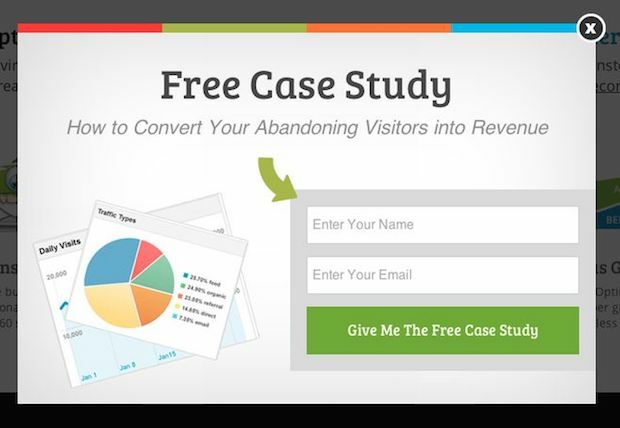 Smart marketers use proven psychological principles to boost their opt ins. In this guide, we’ll share 7 psychological triggers to persuade people to subscribe. As human beings, we are all driven by certain psychological, or emotional, triggers. These emotions drive our actions, our purchase decisions, and whether or not we decide to opt in to someone’s email list. These triggers are so powerful that they operate on a subconscious level, and we are usually not even aware that they are influencing our actions. If you want more people to take action on your website and download your lead magnet, you’ll need to understand what those emotional triggers are, and how to activate them with your email optin forms. Are you ready to learn 7 psychological triggers to persuade people to subscribe, and how to employ them with your email optin forms? Social proof is a phenomenon where people tend to “follow the flock”. If other people are doing something, you are more likely to do the same thing. So rather than trying to convince people that your lead magnet is worth downloading, let others speak for you! Here’s an example from our co-founder, Syed Balkhi. In his lightbox optin form, he shares that 330 million people have subscribed to his YouTube channel, making it one of the most popular YouTube channels in the world. If that many people subscribed to his YouTube channel, his email list must be amazing too, right? A professor at Carnegie Mellon, George Loewenstein, discovered that when there is a gap between what we know and what we want to know, humans have a strong desire to fill that gap. This phenomenon is known as the Information Gap Theory. This gap has emotional consequences: it feels like a mental itch on the brain, and we will do what it takes to scratch that itch. 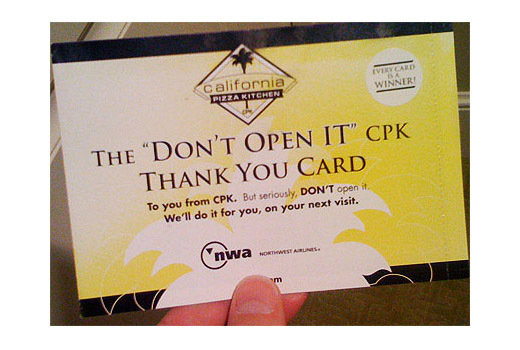 If you were holding this in your hand, would you have a hard time not opening it? I bet you would! Simply stating that there is something inside this envelope that you can’t see makes you itch to know more. You can do something similar with your optin forms as well. Use a curiosity driven headline, such as “Revealed: 6 Secrets of the Top Magicians in the World” or “5 Little-Known Ways to Stand Out on Pinterest”. Check out this checklist for more curiosity headline ideas. In a study by Worchel, Lee and Adewole, two jars of cookies were presented to participants: one jar held ten cookies, while the other jar only contained two. Aside from the number of cookies, each jar was identical. Interestingly, the jar with the two cookies was perceived as more valuable than the jar with ten cookies! This is the principle of scarcity at play. You can implement scarcity in your optin campaigns by presenting an offer that is only good for a certain period of time, or only available in a limited quantity. Just be careful not to ever use false scarcity. The researchers we just mentioned also found that a product actually decreases in perceived value if it first appears scare, but later becomes abundant. This particular countdown timer (created using OptinMonster) is set to expire for specific website visitors after a set amount of time. That way, the scarcity is real and not faked. People tend to remember uncompleted or interrupted tasks better than completed tasks. What this means is that people are also more likely to complete a task once they have started it. That’s because, as Lithuanian psychologist Bluma Zeigarnik observed, people have a strong desire to complete things, so they store the task in their memory. Once they complete the task, however, they tend to promptly forget. This is now known as the Zeigarnik Effect. 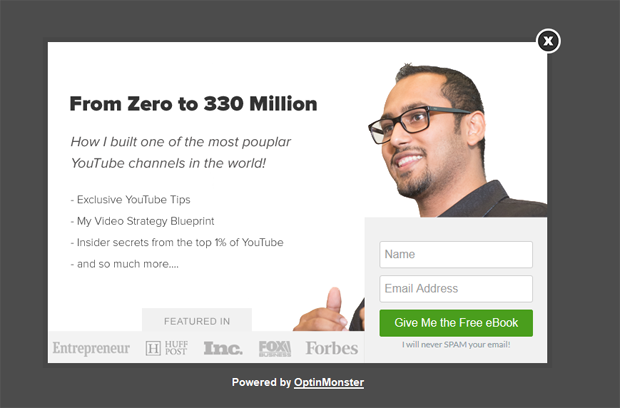 You can use the Zeigarnik Effect to get more email subscribers by using a 2-step optin form. 2-step optin forms require the visitor to click on a link or a button before they see the actual form to enter their name and email. After clicking the link, they have started a task that has not yet been completed. So, driven by the Zeigarnik Effect, they will be more likely to complete the task by entering their email address. 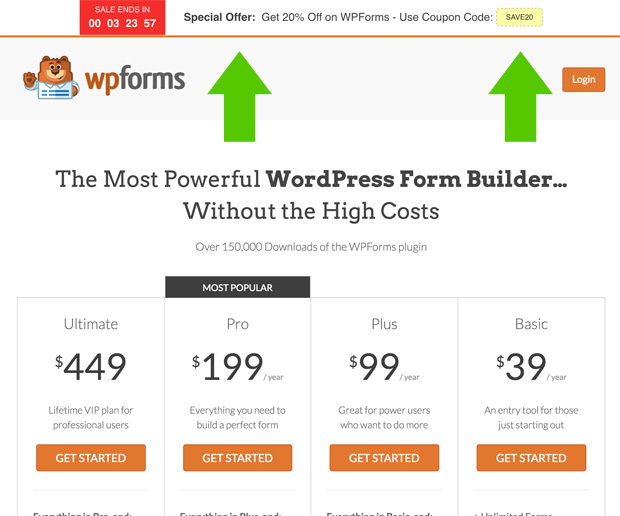 Bonus Tip: these 2-step optins work especially well in combination with content upgrades. By asking for a small commitment (clicking on a link or a button), you can leverage the memory trigger and get many more people to say “yes” to your larger commitment (opting in to your email list). To have anticipation, she says that you need two things: something to anticipate, and the mindfulness to do the anticipating. If you have something that people can anticipate (an upcoming product, book, webinar, etc. ), all you have to do is make your visitors mindful of it. 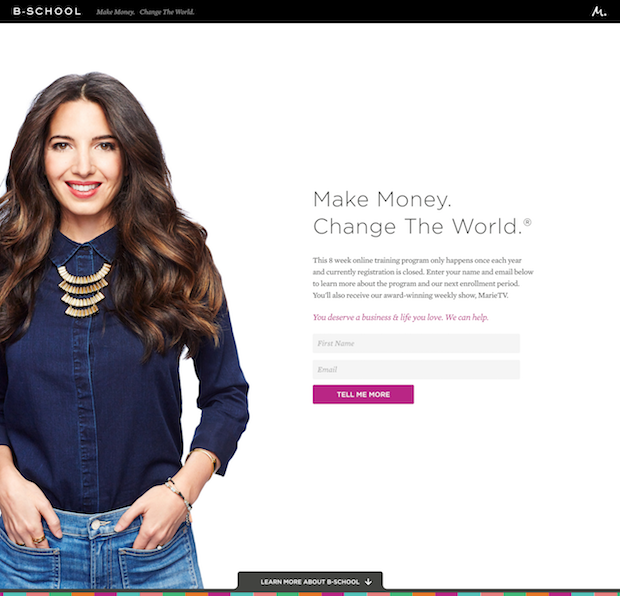 Marie Forleo is a great example to follow for building anticipation. Her flagship course, B-School, opens only once per year. During the rest of the year, she includes a notice on her website that the program is currently closed for registration. BUT– you can learn more by opting in to her email list. Not only that, but if you click on the “Learn More About B-School” button, you’ll be taken to a ton of content explaining what her program is, what it can do for you, case studies, etc. So even though you can’t buy it now, you can still learn all about it and become mindful of it. How do you leverage laziness to persuade more people to subscribe? Simple: just tell them precisely what to do next (and make it perfectly clear). For instance, in your optin form you could say, “Enter your name and email below to access…” This makes it so that the visitor doesn’t have to think. You are simply telling them what to do. You’ll also need to make it easy for your visitors to understand what the next step is visually. Even without reading a single word, they should know that the next step is to optin for your email list. Here is a great example using one of OptinMonster’s pre-built templates, which has an arrow pointing towards the form fields. The eye is naturally drawn in the direction of the arrow, making it perfectly clear what to do next. Note that this optin is also using a lightbox popup to remove all other distractions from the screen. This same design wouldn’t be nearly as effective if there were a lot of other eye-grabbing elements visible on the screen at the same time. We as humans have a need for connection, and to be a part of a community. But communities don’t just make us feel happy and more secure. Studies show that communities actually motivate us to take action, even when the community is based on something completely arbitrary, such as a birthday or being randomly assigned to a group. A really smart way to leverage the human need for connection is to simply give them that sense of community. Create a community of your own, and offer it in exchange for an email address. Here is an example from Jenny Beres. Jenny hosts a community on Facebook, and gives access to her website visitors when they subscribe with their email address. That’s it! We showed you how to persuade people to subscribe with 7 psychological triggers. Now it’s your turn. Go ahead and choose one of the triggers above to start with, and activate it in your website visitors using your optin form copy and design. Use the examples we shared above for inspiration, and start using emotions to grow your email list. If you enjoyed this guide, you may also want to check out The Beginner’s Guide to Email Marketing, where we share how to grow your email list and persuade those subscribers to become your paying customers. Your techniques are really great, specially Zeigarnik Effect. I am surely going to add it on my website. Thank you so much for sharing useful information. Thanks, Aditya. 🙂 A good follow-up is this article on running a successful email marketing campaign. And you can also follow us on Facebook to keep up with our latest articles.